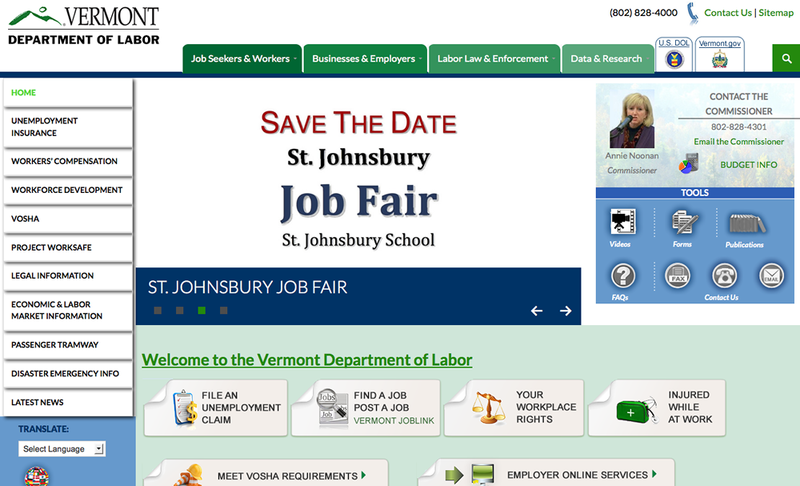 The Vermont Department of Labor’s mission is to promote Vermont’s economic strength by assisting employers with job creation, retention and recruitment; coordinating the education and training of our workforce for Vermont’s current and future job opportunities; ensuring that Vermont workers have well-paying jobs in safe work environments; administering economic support and reemployment assistance to workers who suffer a job loss or workplace injury; and providing labor market information and analysis to the enable effective planning and decision-making relating to economic, education, labor and employment policies and direction. This entry was posted in Government & Municipal. Bookmark the permalink.